The presidential candidate, Allied Congress party of Nigeria (ACPN), Oby Ezekwesili has warned against thuggery, military intimidation and harassment of voters in the 2019 elections. Speaking on Friday at forum on violence free elections, Ezekwesili said the absence of thuggery and military intimidation would be part of the conditions that would guarantee a violence-free poll. The forum was organized by president summit centre in collaboration with forum of presidential candidates towards a peaceful conduct of elections. 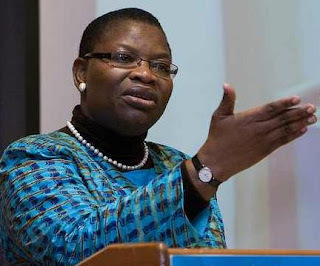 Ezekwesili urge other presidential candidates to believe in the peace accord signed and work towards achieving it. “you know there is a peace accord. In our own case, we signed, not because it is a ceremony but because we believe in it,” she said. Ezekwesili also listed signing of amended electoral bill and non-interference of military personnel at the polls as conditions for violence free elections. She therefore urged President Muhammadu Buhari to listen to the court of public opinion and address lingering electoral issues ahead of the poll. She called on the president to sign the amended 2018 electoral bill into law. According to her, president Buhari should exhibit an exemplary leadership quality that will ensure the election does not end up taking the country and the people down. She urged the National Assembly to ensure the people have those rules that would enable the country to have electoral integrity. “we also need to have the rules of the game as far as the military structures are concerned to ensure that they are not in any way complicit in election malpractice. “we should therefore come together to agree on the rules of the game as far as the use of military is concerned. “We don’t want a situation where the military will carry out a coup from the back door. None of us will accept that,” she said. The spokesperson, presidential summit centre, Princess Zara Mustapha Audu, stated that the centre was set up to improve elections in Nigeria by educating both the aspirants and the electorate on the need for a peaceful election. He urged politicians to engage in issue based campaigns, while security agencies should be neutral during elections.